HIS move to Cardiff has been likened to a storyline from classic football comic Roy of the Rovers. And now Craig Bellamy’s similarity to the fictional striker has been given an official stamp of approval – from the co-author of a book dedicated to the comic strip’s 50-year history. 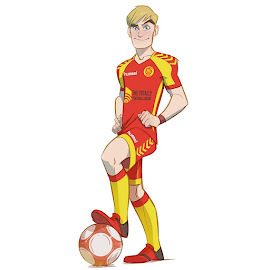 Bluebirds fan Peter Acton, of Cardiff, was part of the team that worked on the Roy of the Rovers comics in the early 1990s. After writing the comic’s official history, Mr Acton was moved to write a poem dedicated to Bellamy’s Roy Race likeness. During his years working on the comic, Peter was responsible for its promotion, travelling around the country with a cardboard cutout of Roy Race and meeting real-life footballers including Bobby Charlton, Gary Lineker and Geoff Hurst. 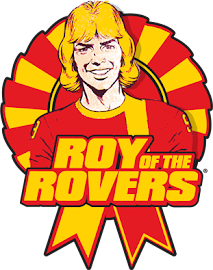 His time on Roy of the Rovers ended in 1993 when the writers ended the comic’s run by amputating Roy’s foot in a helicopter accident – a move that made the TV news. He said: “Roy was a national institution. I remember calling up the 10 o’clock news to speak to Trevor McDonald to tell him the comic was ending – it made national headlines. “At the time, he was a hero, and I think he still is. “No matter what football team you supported, you could always support Roy’s team the Melchester Rovers – and of course no-one would support their rivals. “Football has an amazing unifying quality: it forges an emotional connection between you, your dad, your grandad, your uncle; it gives us our national identity. “Roy Race is a legend like King Arthur or Robin Hood and you get the sense he is simply in waiting until he can be brought back to life.